All Posts Tagged With: "Fall/Winter 2010"
New York Fashion Week. Backstage at L.A.M.B by Gwen Stefani Fall/Winter 2010 hairstyle created by Danilo with Moroccanoil. The Look and Inspiration: Definitely modern. A glance back to the 30’s and 40’s with an eye toward the future. Glistening Bangs. The graceful ease of Curled Waves. Long hair flowing, or strengthened and rolled up to chin and shoulder lengths. The sweet power of high-shine and beautiful healthy-looking hair. To create the dramatic, eye-catching hair designs for the L.A.M.B. Fall/Winter 2010 Collection master stylist Danilo used a combination of techniques and emphasized smooth waved curls with a very modern, beautifully luminous shine. Professional argan oil-infused Moroccanoil products were layered to achieve the silky texture, refined shine, and provide free-flowing, moveable hold. To wrap up Fashion Week Fall/Winter 2010, Guido, Redken Creative Consultant ended with a bang of ponytails at the Louis Vuitton and Miu Miu shows in Paris. Find out the must-have products and inspiration! At yesterday’s Chloe show in Paris, Redken Creative Consultant Guido created the hairstyle to complement the design house’s Fall/Winter 2010 collection. Find out the must-have products and inspiration! 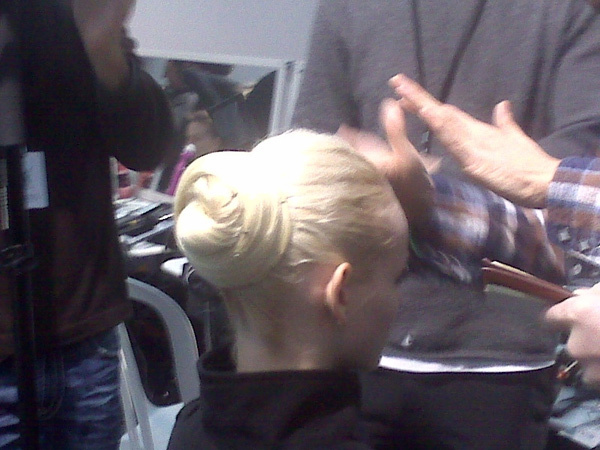 At the Prada Fall/Winter 2010 runway show in Milan, Redken Creative Consultant Guido created a 60s inspired lacquered voluminous egg-shaped chignon. 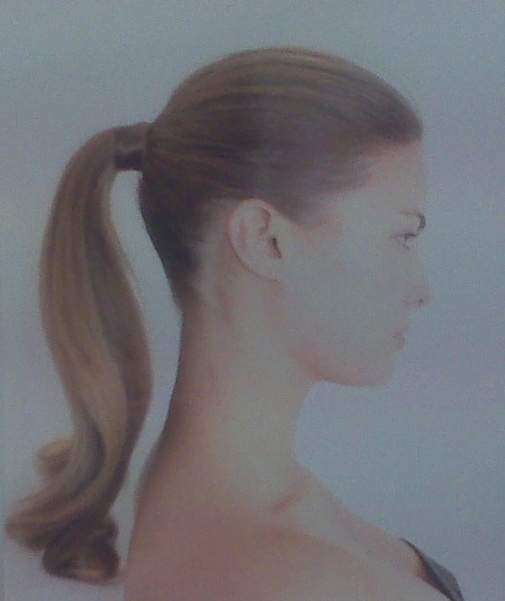 1- Section hair into two sections by a horizontal part at ear height.